Let’s face it-bedrooms aren’t just bedrooms anymore. Bedrooms have become an extension of our living room or den. 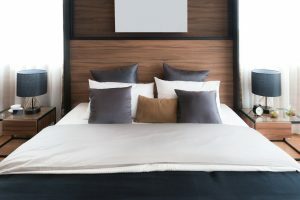 Despite advice to the contrary, many of us use our bedrooms as our office, TV viewing room, reading room, computer room, etc. What is one way to make our bedroom more comfortable while doing these tasks?—enter the modern adjustable bed. In the past adjustable beds were equated with being for the elderly or perhaps just for health purposes. Now people of all ages can benefit from an adjustable bed. And today’s adjustable bases don’t only raise head and feet for optimal comfort, they also provide head tilt options, lumbar support, USB plug ins, under bed lighting, blue tooth compatibility, programmable positions, variable massage and more. And with the new trims available on many bases-your bed will look good with just a headboard if you like. With our SS31 Base or N150 base you can get an economical bed for full range head and foot comfort. If basic functions are all you need then you can upgrade most of our Queen Pillow Top or Memory Foam sets for just $200. This is an excellent choice for those just interested in elevating head or feet for health purposes like acid reflux or circulation. The GS61 Base adds another layer of choices at an affordable price. It includes LED under bed lighting, zero-gravity feature, and a massage. And for even more bells and whistles, consider the GS-71. With it you get all of the above features, plus variable speed massage, wave mode massage, pulse mode massage, USB outlets, programmed TV viewing position, programmed lounge position, other programmable positions and LED flashlight on remote. Our top of the line base is the ultimate adjustable base. 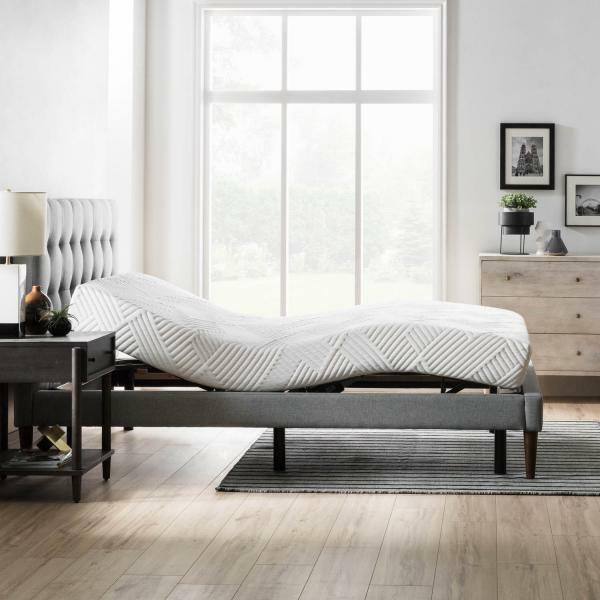 The S750 adjustable bed offers basic adjustable head and foot panels PLUS head tilt and lumbar support. Also a reach assist feature pulls the bed back toward the wall as you incline for easy access to your nightstand. And it has built in Bluetooth connectivity so that you can customize your sleep experience. You can set an alarm option that allows you to select a time and preset or memory position and the S750 gently raises you up every morning. How cool is that?! Additionally, you receive 5 preset positions including zero gravity as well as 6 programmable positions for perfecting that just right comfort. The massage has 4 programs with 3 intensities. That equals 36 dual-massage options! Charge your devices in the dual charging ports located on both sides of the base. And the wireless LED backlit remote is motion activated so that when you pick it up it lights up the buttons. But what about my existing Headboard and Footboard? All of the above choices will also fit inside of your existing headboard and footboard. So there is no need to change furniture with purchase. King size is two twin-extra-long units placed side by side. That way each person has their own control. And don’t worry about how to make your bed. We have Split King sheet sets designed just for that purpose. The set comes with two twin-extra-long fitted sheets and one king top sheet. They are available in Bamboo, Tencel, or Supima Cotton blends. Our adjustable bases work well with most of our mattresses including memory foam mattresses, innerspring, pillow tops, and latex. Come take an adjustable bed for a test drive at our showroom today. You will love all of the features.